A few weeks ago, Castlevania Netflix producer Adi Shankar teased a new adaptation with a Japanese video game company. While the rumor at the time was that Shankar had procured the rights to The Legend of Zelda, the producer and IGN revealed today that it will actually be Devil May Cry that gets the next TV show treatment. In an interview with IGN, Shankar admitted Castlevania "did crazy well," paving the way for Capcom's crazy party to get the green light. There aren't many details on how exactly Devil May Cry will get adapted, as Castlevania is based on a Warren Ellis script penned by the writer in the early 2000s. Shankar did say that his personal investment in the series means he gets more creative license with the property. It wouldn't be the first time that DMC had gotten adapted, though, as a seemingly-canon anime aired in 2007 and tells the story of Dante's devil-hunting business before the events of Devil May Cry 4. 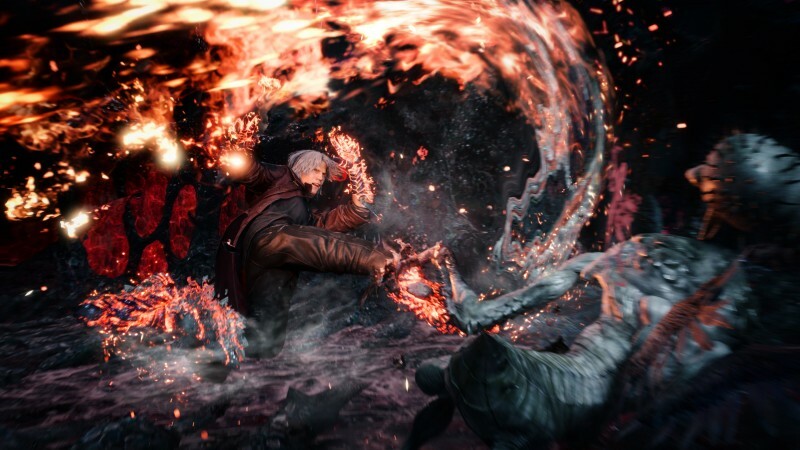 Characters from that animated series are referenced in Devil May Cry 5. Capcom said recently that they plan to be more aggressive with licensing their properties for multimedia projects, like the Monster Hunter and recently-announced Mega Man movies. Devil May Cry 5 releases on PlayStation 4, Xbox One, and PC on March 8.